Graphic design may not be the first thing that businesses think about but graphics are a major part of all businesses. From the website to the company letterhead, graphic design is very much part of the business process, so much so that many major companies keep graphic design services on a contract basis to cover their basic needs for materials for their online and hard copy publications. In advertising and marketing, visual presence is one of the core elements of product presentation and public image of a product or a business. The graphics are quite literally the public face of the business. be very well presented to have an impact. The same applies to videos, now used by practically all businesses online and elsewhere. The conventional market role of graphics is simply presentation, but there’s another extremely important factor – competition. Some graphics are better than others, and in the marketplace, graphic design often affects choices made at point of sale, which means that the standards of production of everything from commercials to basic logos are constantly being raised to meet higher expectations. Digital media and new technology have done a lot to enhance and develop new graphics options, too. What were once very expensive visual effects are now standard, and there are more options becoming available every day. The big Adobe Creative Suite packages are a good indicator of the level of demand for a vast range of digital graphic options from professionals in all forms of visual and graphic media. 1. Engage the services of a graphic design company to streamline the production of visual content. This is a cost-efficiency exercise as well as administrative best practice, keeping the expertise of the graphic design company available to deal with any needs for new media, publications, etc. on standby. 2. Get good graphic design through an advertising agency or marketing consultancy. This is a default quality control, ensuring professional standards of graphics work are available for promotions, literature, etc. on a needs basis. Graphic design is now very much part of the business mix. It’s important to ensure high standards of presentation and professional quality materials are standardized, and that production of new materials can be done cost-effectively. Quality and talent are the core elements of business graphics, so lock in a good provider for your business. Agency founder and creative director Graham Conway cut his teeth with large London ad agencies, designing campaigns for even larger blue chip brands. As senior graphic designer he worked on accounts such as Coca-Cola, Disney, Fosters, JP Morgan, Volkswagen and Virgin, building up both an impressive portfolio of work and a heaving contact book of top-notch creative professionals. He noted that many were freelance, and most chose to live outside London. With encouragement from clients, and drawing on those two factors, he branched out on his own in 2008 winning a contract with Telecom giant BT and many others along the way. DesignG London is boutique in size but full-service by nature. In a digital age where no-one can possibly specialise in everything, we have the experience, skills and connections to match the right person to each job. We work with developers, copywriters, printers and fulfilment houses. Regardless of the brief we put you, and your design and communications objectives, first. 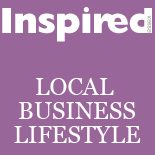 This entry was posted on April 4, 2013 by inspiredessex in Business and tagged Chelmsford, DesignG London, Essex, Essex Magazine, Graham Conway, Inspired Essex Magazine, Lakeside.